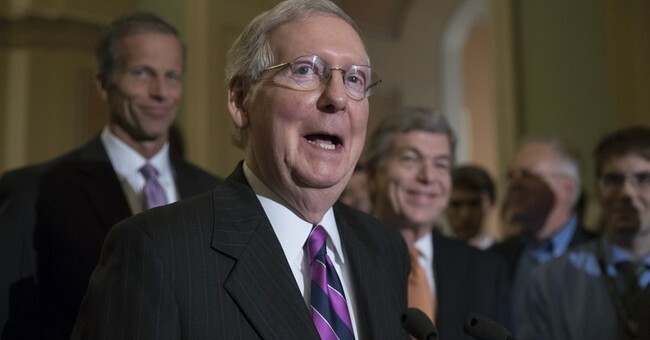 Only 16 percent of Republicans approve of the job Congress is doing, according to the latest Gallup poll. This is the lowest job approval rating Congress has received from Republicans in 2017. It is also a significant departure from the 30 percent GOP approval for Congress from April to July. The drop is likely due to the Republicans' failure to repeal and replace Obamacare before going on August recess as the survey was conducted August 2-6th. Republican approval of Congress was at a high of 50 percent after President Trump’s inauguration in February but gradually fell in the months following. Democrats’ approval of Congress is at 12 percent which is consistent with their low ratings for Congress throughout 2017 from around 10 to 19 percent. Americans in general have a 16 percent approval of Congress which is also a record low for 2017, a drop of four percentage points from the 20 percent Gallup recorded in July. Gallup notes that this is also the lowest rating Congress has received since their 13 percent job approval recorded in July 2016. The drop in the national rating in August is due to the drop in Republican approval although approval among independents has also dropped four percentage points to 16 percent. "Several unsuccessful attempts by Congress this year to repeal and replace the Affordable Care Act did nothing to bolster its already poor image," Gallup notes of the latest numbers. The poll was "based on telephone interviews conducted Aug. 2-6, 2017, with a random sample of 1,017 adults, aged 18 and older, living in all 50 U.S. states and the District of Columbia."